US intelligence community musts take in consideration that a large part of the stealth RQ-170 UAV secrets, if not all, are now available to Iran and most likely to Russia and China too. 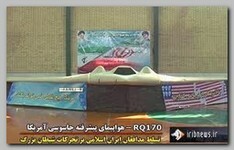 Iran claimed, on 12/04/2011, They have shot down an unmanned US spy plane referring to the RQ-170 (see – RQ170 -12.04.11). It is assumed, now, that Iran could have stationed its newly acquired Russian Electronic Warfare (EW) truck mounted system, known as Avtobaza, near one of their nuclear facility. The Russian export is designed to manipulate the guidance and communications system of USA weapons. In using that system, Iran might have jammed the command-control link between the USA. drone and the commercial satellite the drone uses to link back to its pilot. When the drone can’t talk to its pilot, after a while, it aborts its mission and goes home. To find its way home, the drone uses signals from the Global Positioning System (GPS) satellites. Unfortunately, the signal strength of the GPS satellites is relatively weak and a strong signal from something like the Russian EW systems can overpower it. This technique has been frequently demonstrated and allows something like the Russian trucks to “spoof” the GPS signal, pretending to be the satellite and providing false data to GPS receivers. If so the deflection of the RQ-170 was, possibly, a joint Iranian-Russian operation. To avoid being spoofed, US military systems listen to a different frequency than civilian GPS receivers, an encrypted channel from the satellite. How could Iran get around that? Iran could have gotten its hands on the encryption key used on USA. drones, perhaps in the wreckage of the Reaper drones it has already shot down. Alternatively, Iran could have jammed the military GPS frequency, forcing the RQ-170 to shift to the civilian GPS channel. If they did that, the RQ-170, unable to phone home, would have tried instead to fly home, but it would do so using a GPS signal that Iran was spoofing. By telling the drone that west was east and then giving it more detailed mis-directions, Iranian electronic specialists could have flown the aircraft to a base where Iranian intelligence officers were waiting for it, according to an Iranian official on the CHRISTIAN SCIENCE MONITOR on Thursday 12/15/2011. When the RQ-170 got to where it thought its home base was located, it would have landed on auto-pilot. Is the story plausible? Pentagon and USA intelligence experts say no, but they may underestimate Iran and overestimate their own systems. That kind of arrogance has happened before, when the USA was confident that the Soviet Union could not be reading the American Navy’s encryption codes (but it was, thanks to the Walker family spy ring.). If the American story is right, that of the American pilot “lost control” of the RQ-170, the drone should have automatically flown home. It did not. It is impossible for outside observers to know for sure which side’s claims are right. It may even be hard for senior USA. Government officials to be sure that what they are being told by their experts is right and generally initial reports are almost always wrong. A European intelligence source claimed Iran stunned Western intelligence agencies when it managed to “blind a CIA spy satellite by aiming a laser burst quite accurately,” in a never before reported incident which occurred sometime in the past two years, giving an early warning about Iranian sophisticated capabilities. This unreported incident might suggest that the Iranians have successively gained access to jamming technology, allowing them to track UAV navigation capabilities. More recently, Iran was able to hack Google security certificates, said a Google engineer. In September, the Google accounts of 300,000 Iranians were made accessible by hackers. The targeted company said “circumstantial evidence” pointed to a “state-driven attack” coming from Iran, meant to snoop on users. Cracking the protected GPS coordinates on the Sentinel drone was no more difficult, the engineer asserted. It is obvious USA severely under-estimates Iranian sophistication and technologic capabilities and is paying a dear price for it.